We offer the best refit facilities in Mallorca. 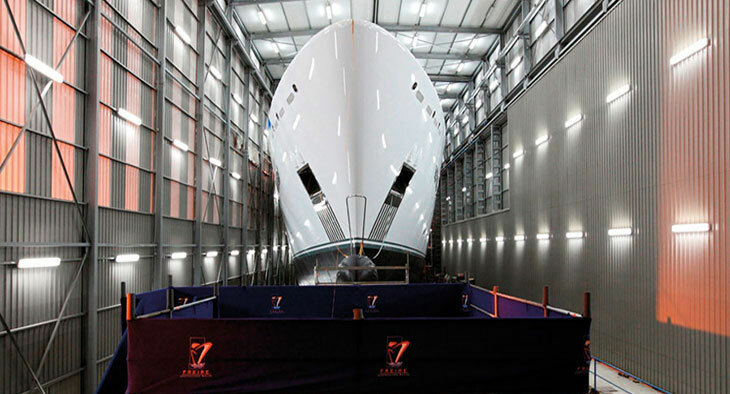 Our renewed facilities allow us to undertake any repair or maintenance work that a yacht of up to 70m. might need. The facilities, equipment and specialized personnel, coordinated by our technical department, guarantee that the best possible work is promptly performed on your yacht. Inside our premises in close reach of each vessel, you find all kinds of workshops for Steel, Stainless Steel, Aluminium, Engineering, Painting, Spray Cabins, Joinery, Deck Carpentry, Electricity, Electronics, Air Conditioning, Rigging and Upholstery. Max haulout capacity of 1700t. Astilleros de Palma is founded, located in La Pedrera, in part of what is now the Paseo Marítimo. The first boats constructed, for the local fleet, are made of wood. The first section of Paseo Marítimo is finished and the shipyard must use a rotating bridge to continue manoeuvring and launching its ships. Naviera Mallorquina’ Cala Blanca is launched; the first boat built in steel. The first of seven boats of 640GT. The facilities of the shipyard are moved to ‘Contramuelle’, where the medieval shipyards were located. 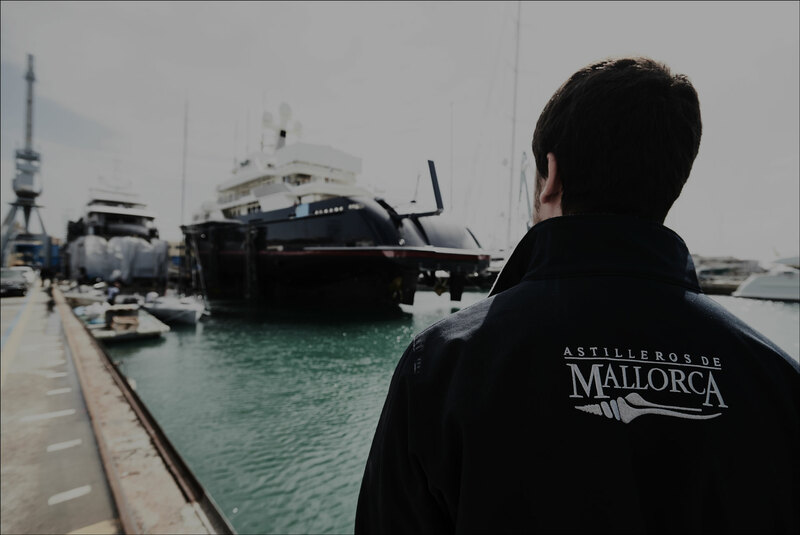 Together with the shipyards ‘Ballester’ and ‘Naviera Mallorquina’, the new company Astilleros de Mallorca is founded. The 44m M/Y Cleopatra is delivered; the first large yacht built by the shipyard. The hospital ship ‘Esperanza del Mar’ is delivered; a ship that for more than 20 years carried out medical support work in the Atlantic. Jessica, a three-mast schooner, is delivered. Its 62-metre length made it the largest schooner built since 1927, sparking renewed global interest in this traditional rig style boat. This year saw the launch of the largest ship in the history of the yard, with an LPG of 113m. of LOA and 4,500 GT. The last new boat to be built in Astilleros de Mallorca is delivered, M/Y Aldonza. 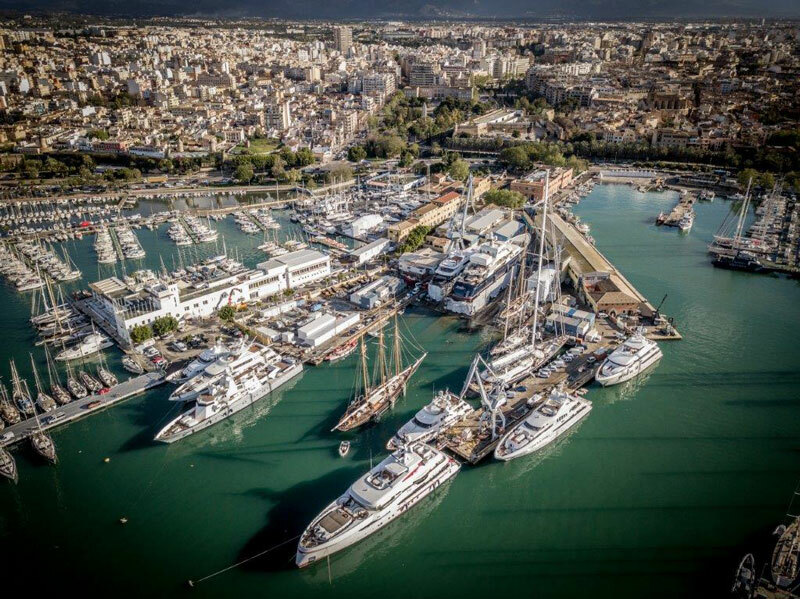 Afterwards the yard specialises exclusively in yacht repair and refits. 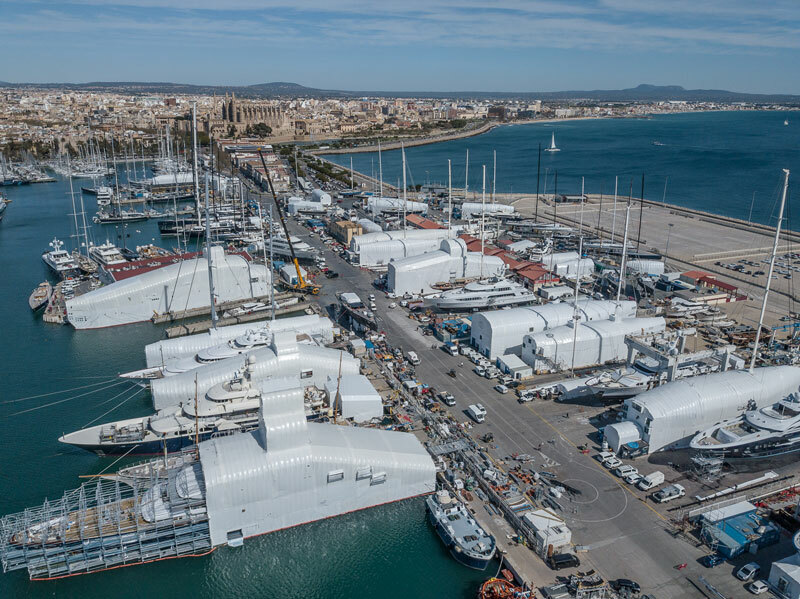 Boat International magazine awards Astilleros de Mallorca with the ‘Best Refit of the Year Award’, for the complete reconstruction of the yacht ‘Blue Bird’, built in 1938. Repair and refit facilities open in the new STP area including workshops, specialised in mechanical & machinery/metal/pipe/hydraulics/electricity, and project management offices.